The Open Championship is set to attract over 200,000 spectators to Royal Portrush. The additional tickets for this summer's Open Championship at Royal Portrush are now on sale but three Championship days have already sold out. An extra 15,000 tickets - 3,750 for each tournament day - were this morning put on sale as the R&A managed to boost the overall attendance figures to 215,000 across the four days of Championship golf. Tickets for the final three days have already sold out while, at the time of writing, spectators could still secure a spot for the opening competition day on Thursday. Fans on social media reported early morning frustrations as The Open website crashed under the weight of demand just hours after Tiger Woods' stunning victory at the Masters. 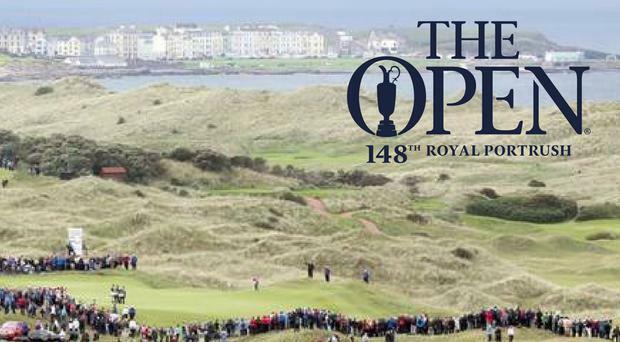 "We'd like to apologise if you've had issues accessing the page to purchase tickets to The 148th Open at Royal Portrush," read a statement on the website. "Due to an extraordinary demand and unprecedented visits to the website, we have experienced technical issues during the course of this morning. We are working hard to resolve this and we will continue to keep you updated. "We apologise for any inconvenience caused and thank you for your support of The Open." However, the website is now up and running, with tickets available to The One Club members. It is free to join the R&A's One Club. Tickets are still available for all four practice days leading up to the tournament itself. Click here for access to the ticket section of The Open website. Adult tickets are priced £80 for Thursday while admission to the practice days ranges from £15 to £40. The original allocation of tickets for the tournament days sold out in record time when they went on sale last August. And interest will only have heightened after Woods' return to major-winning form. After ending his 11-year wait for his 15th major title, fans will now be desperate to get to Royal Portrush and see if he can further close in on Jack Nicklaus' record of 18 crowns. "Tiger Woods' victory at Augusta has electrified the golfing world," a Royal Portrush spokesperson told the BBC. "His win will resonate over this golf course in July. The level of excitement has reached a completely new level. Tickets for the Open are almost becoming priceless." The event, which is being staged from July 18-21, is set to be one of the biggest sporting events hosted in Northern Ireland as golf fans from across the world flock to the famous north coast links. "We have been working closely with the government agencies, our advisers and contractors to assess whether we could accommodate some fans on each day of the Championship and have decided that we can do so without impacting on the outstanding spectator experience we provide," said Martin Slumbers, Chief Executive of The R&A, when the extra tickets were announced earlier this month. Star names such as World No.1 Dustin Johnson, Justin Rose, defending champion Francesco Molinari and, yes, now 15-time major winner Tiger Woods will all compete against local favourite Rory McIlroy for the title on the Dunluce course. It's the first time the tournament will be held in Northern Ireland since 1951, when Max Faulkner lifted the Claret Jug at the Dunluce Links. By Adam McKendry R&A chiefs have confirmed that additional tickets will be released for this summer's Open Championship at Royal Portrush after the phenomenal demand.